We had a great radio show last night. Because of the scheduling of radio shows, we weren’t able to set up until right at 8:00 so got a bit of a late start. However, when the show started rolling, great fun was had. Since the radio studio is in the same building as a residence hall, we even had a small “studio audience” who joined in on the fun. So, thanks for making the radio show a success! 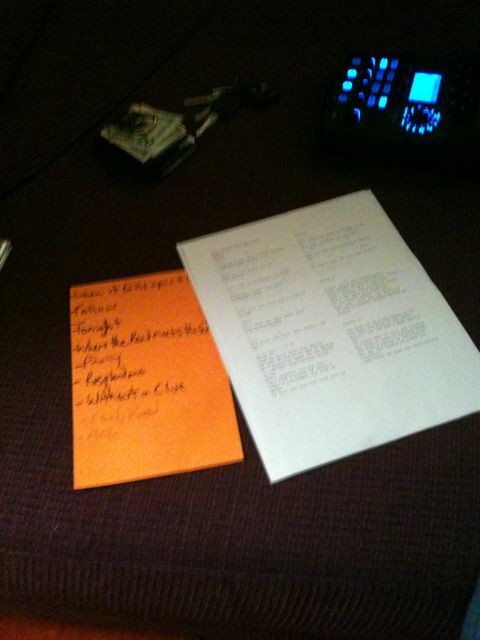 Here is a photo of the Set List from last night. Thanks SCADatlantaRADIO for another great show!